Sax Player Mike Smith has recorded with jazz giants Randy Brecker, Scott Henderson and Murillo Romano. He has written & recorded with Oz Noy. 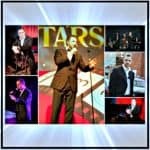 Here is the ideal wedding entertainment across Cheshire and Mike also performs at corporate events. Booking with or without guitarist and also with a full band option for the perfect ‘spot on’ event. Sax player Mike Smith is definitely the ideal choice for your wedding entertainment – maybe in the background at the drinks reception. He can also play in front of house alongside other musicians or accompanying the DJ. Perfect for corporate entertainment events. The saxophone was developed in 1846 by Adolphe Sax, a Belgian instrument maker, flautist, and clarinetist. Born in Dinant and originally based in Brussels, he moved to Paris in 1842 to establish his musical instrument business. Prior to his work on the saxophone, he had made several improvements to the bass clarinet by improving its keywork and acoustics and extending its lower range. Sax was also a maker of the then-popular ophicleide, a large conical brass instrument in the bass register with keys similar to a woodwind instrument. (Wikipedia). Contact us if you would like to book this popular musician for your event.